PCP (Personal Contract Purchase Plans) has proved extremely popular with Motordepot's customers - accounting for more than half of the cars we have sold on finance in 2015. 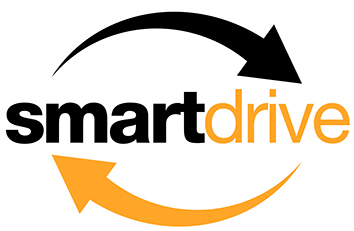 Listening and responding to what our customers want has always been key here at Motordepot and so we are pleased to announce our new finance package - SmartDrive PCP - which we believe will make buying a car easier and more accessible than ever before. Here's 10 reasons to choose SmartDrive PCP from Motordepot when buying you next car. Low monthly repayments - With SmartDrive PCP, the customer only pays for the vehicle's depreciation over an agreed period and the cost of borrowing. Hence SmartDrive PCP offers monthly installments which are considerably lower compared to the more customary Hire Purchase (HP) method. Low deposit option - SmartDrive PCP offers customers complete flexibility regards deposit options, with even 'nil deposit' available on most vehicles. Also, if you are part exchanging a car, then any available equity could be returned to the customer as ' cashback '. Flexible finance term - SmartDrive PCP customers can choose to take out a deal anywhere between two and four years to suit their budget requirements and/or preferred upgrade schedule. Value guaranteed - When taking out a SmartDrive PCP deal, customers receive a Minimum Guaranteed Future Value ( MGFV ) of what your vehicle will be worth at the end of the agreement (subject to pre-agreed mileage levels being met and the car being returned in reasonable condition). Note, this is a 'minimum' Guaranteed Future Value, so there is a chance that you may have some 'equity' to work into a new deal or ' cashback ' if trading in. Options after completion - When a SmartDrive PCP contract ends, the customer has a range of options available to them; (a) Hand the vehicle back and repeat the process by taking out a new deal on a fresh car; (b) Simply hand the vehicle back and walk away without obligation (subject to pre-agreed mileage levels being met and the car being returned in reasonable condition); (c) Buy the car outright by paying the MGFV figure, either in a lump sum or by way of re-financing. Peace of mind and that "new car" feeling - Customers who continuously opt for SmartDrive PCP not only get the perpetual pleasure of driving a newish car, but also the peace-of-mind that their vehicle in most cases is still covered by the manufacturer's warranty. Make expensive repair bills a thing of the past! Drive a premium brand for less - One of the major attractions of SmartDrive PCP, is that vehicles which tend to depreciate the least, work out even better on this deal. Never thought you could afford a BMW or an Audi? Think again! No need to tie up capital - When it's all said and done, vehicles are depreciating assets - not investments. By taking advantage of a SmartDrive PCP package, customers can retain their own capital for better use. No threat of negative equity - Unlike a traditional HP deal, the differing structure of a SmartDrive PCP package means a customer doesn't run the risk of being mired in negative equity (owing more than the car is worth) as the Minimum Future Value is Guaranteed!. No hassle of selling - A SmartDrive PCP customer is protected from the sheer hassle and expense of selling an unwanted vehicle. At the end of your contract, you are free to either walk away or take out a fresh deal on another car. Either way, we take care of your unwanted vehicle. "You never get to own the car outright" - Wrong! Though a SmartDrive PCP contract effectively works along the lines of a lease, the option is there for the customer to reach a settlement for the remaining balance at any time during the contract or to pay the Minimum Guaranteed Future Value at the conclusion of the contract. This can be done in cash or through re-financing. If you have any questions about SmartDrive PCP finance, then pop into one of our showrooms in Birmingham, Grimsby, Hessle, Hull, and Scunthorpe, and speak to one of our dedicated customer advisors who will be able to find the best finance option for your needs.